Created between 1740 and 1780 Larchill Arcadian Garden is a ‘Ferme Ornée’ or Ornamental Farm and is the only surviving, near complete, garden of its type in Europe. 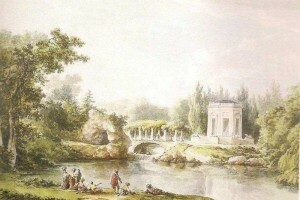 The Ferme Ornée gardens of the mid 18th century were an expression in landscape gardening of the Romantic Movement. 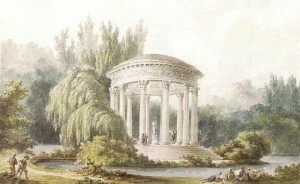 Emulating Arcadia, a pastoral paradise was created to reflect Man’s harmony with the perfection of nature. 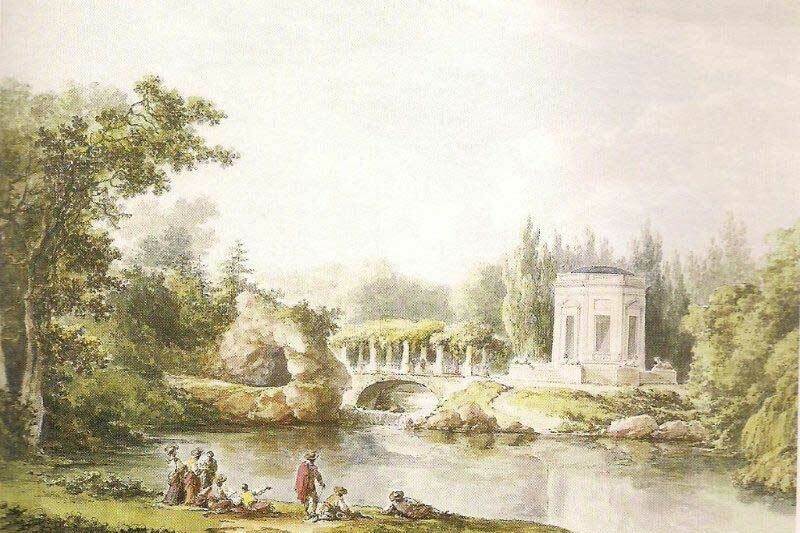 As is the case at Larchill, a working farm with decorative buildings (often containing specimen breeds of farm animal) was situated in landscaped parkland ornamented with follies, grottos and statuary. Tree lined avenues, flowing water, lakes, areas of light and shade and beautiful framed views combined to create an inspirational experience enabling Man’s spirit to rejoice at the wonder of nature. At this time in Versailles, Marie Antoinette enjoyed extravagant pastoral pageants, housed specimen cattle in highly decorated barns, while she herself is said to have dressed as a milk maid complete with porcelain milk churns. Freed from the restrictions of the 17th century formal garden, the Ferme Ornée represented the first move towards the fully fledged landscape parkland designs of Capability Browne.